(March 9, 2010) – Kevin Burkhalter of Johnson Capital’s Los Angeles office has arranged $9,000,000 in permanent financing for a privately held entity that owns a 99,342 s.f. 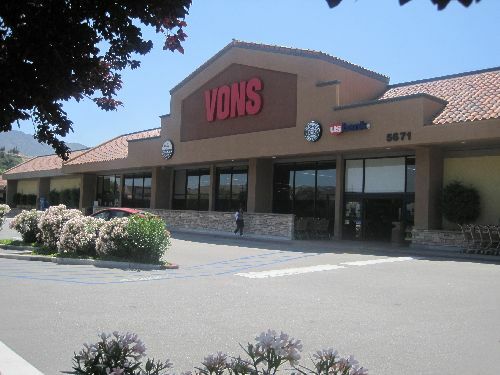 neighborhood shopping center anchored by a Vons grocery store in Agoura Hills, California. The center is also anchored by a CVS Pharmacy, which is not-a-part of the loan security. The terms of the deal consisted of a fixed rate for a 10-year loan term with interest only payments for the entire 10-years. This was now the fourth (4th) consecutive time that Johnson Capital arranged a permanent loan on this property for this same client. Of all four, the recently closed loan has the longest term and the lowest interest rate. The Borrower has long adhered to their local, hands-on management efforts and their low-leverage strategy and has been rewarded with the lowest interest rate available and the lowest monthly loan payments. Completed in 1980, the property is well-maintained, well-leased, and located at a major well-traveled intersection. Financing was arranged through a major insurance company.